Apport WMS makes your warehouse a competitive advantage. Apport WMS optimises your work procedures and streamlines your warehouse with 25-40 percent. The user-friendly warehouse management system makes the warehouse a better place to work. In many warehouses, employees still go about their daily routines with lists printed from their ERP-system. When the warehouse grows, this often becomes an ineffective and confusing way to work. 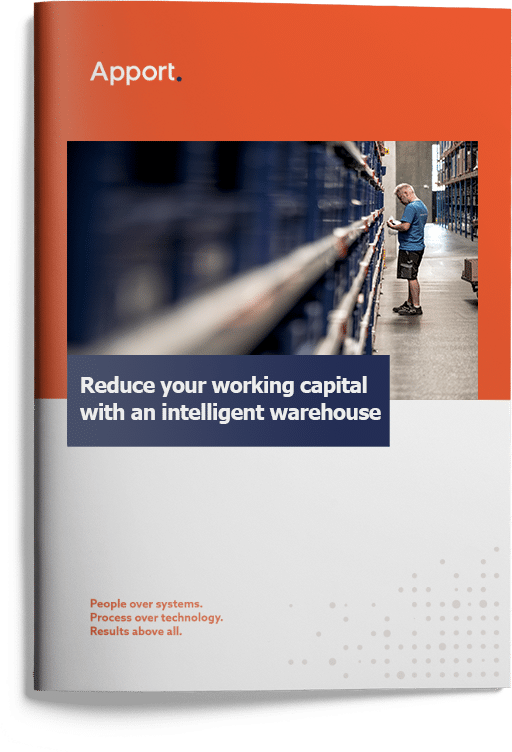 The Warehouse Management System from Apport creates warehouse optimisation and creates an overview for the warehouse employees, that enables them to do their job faster and better. The system utilizes the newest technology – such as voice recognition, voice picking, barcodes and wireless data gathering – to optimise the warehouse procedures. This leads on average to a 25-40 percent efficiency improvement. Automation of the warehouse leads to happier customers. When the customer receives the wrong products, the warehouse needs to use resources to receive the product in return and send the correct product. And what is worse: A customer has now had a bad experience. Errors in picking is costly in more than one way, which is why a reduction in errors is an important advantage of Apport WMS. By automating the manual procedures, that can give way to error, Apport WMS makes sure that picking errors are almost eliminated. An old-fashioned warehouse can be a chaotic place. Apport WMS creates an overview and a calmness. Your warehouse employees always know which job to do and how to do it optimally. This created a good work environment, that contributes to making your company a desirable workplace. The user interface is designed to be simpel and comfortable to work with, and with voice recognition Apport Voice, the system can even be used without hand terminals. The user-friendly setup makes Apport WMS easy to learn, which quickly makes seasonal employees reach the same level of confidence in using the system, as the regular employees.